Say hello to my little friends and mini me! Nurse Dementia and Queen Holly Ween are from ClassicTVToys.com. The Human Wolfman with custom brown hands is from eBay.com. The original has white hands, as you can see in the photo below. 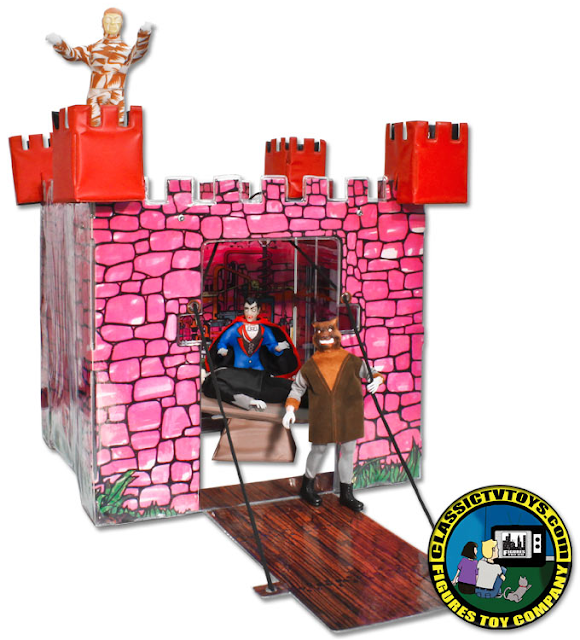 You can get all the Mad Monster figures and their castle here! I'm early for a change! Get the event info here! 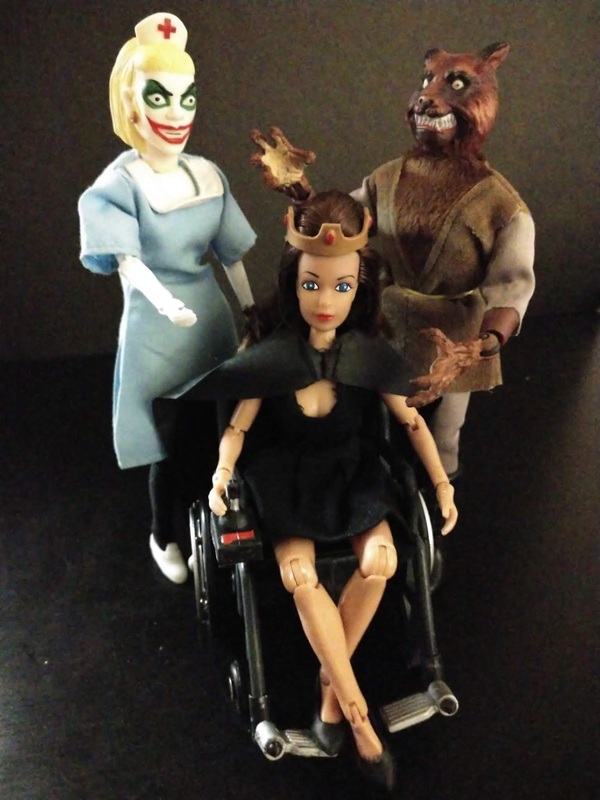 Nurse Dementia, Queen Holly Ween, and the Human Wolfman are all fang-tastic! And their castle pad is pretty spook-tacular too! I'm definitely going to check out that link for a closer look! The "Nurse" figure looks creepy .... cool !! 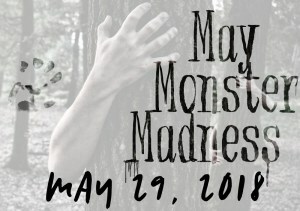 Happy May Monster Madness, dear Holly. Aw, those are cute and spooky!